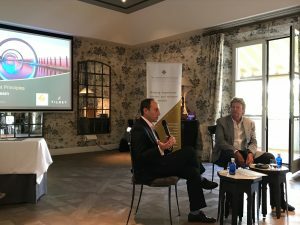 The Spectrum IFA Group and Tilney Investment Management co-sponsored an excellent presentation and lunch on 13th June at the exclusive Finca Cortesin Hotel & Spa on the Costa del Sol. The Spectrum IFA Group was represented by our local adviser, Charles Hutchinson, assisted by his wife Rhona and Jonathan Goodman who attended along with Richard Brown, Lewis Cohen and Harriette Collings from Tilney. For this event, around 25 attendees were invited and selected for this exclusive venue. They were given a very interesting interactive talk by Richard and Lewis on investing in these turbulent times, followed by a mingling lunch and refreshments in the Moroccan Room where everyone was able to personally discuss their questions with staff from both companies in a glorious and relaxing setting with gardens and fountains close by. The feedback from the attendees has been most impressive. Spectrum was very proud to be involved with Tilney in this superb event. It is hoped this will be repeated again in the future. 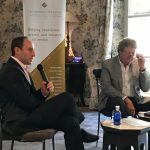 Contact Spectrum IFA direct about: "Investing in turbulent times – presentation, Costa del Sol"